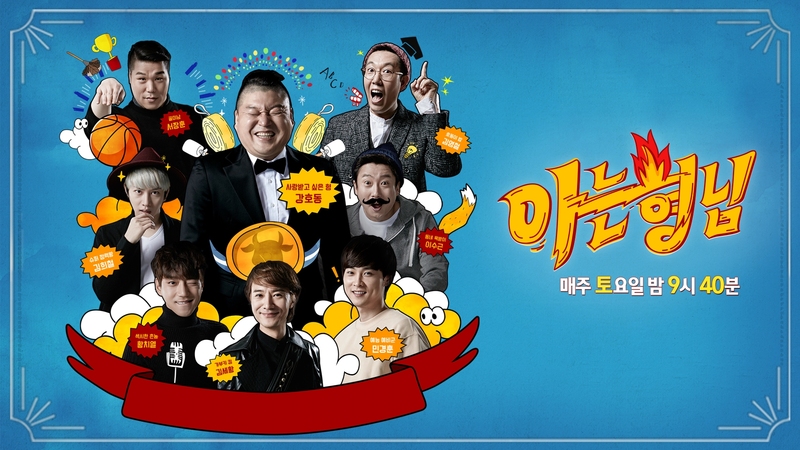 Knowing Bros (Hangul: ?? ?? ; RR: Aneun Hyeongnim) is a South Korean television entertainment program distributed by JTBC every Saturday at 08:50 pm. Originally it was broadcast at 9:40 pm before been moved to the 11:00 pm time slot from December 12, 2015 to January 28, 2017 and currently to the 08:50 pm time slot from February 4, 2017.